I’m sorry to say that, despite numerous advertising campaigns, there are no magic ointments or quick fix treatments that will make your hair grow faster. The average growth rate is one half inch per month. Sometimes hair does not seem to get longer because the ends are breaking off, making it appear not only, not to grow but even to get shorter. There isn’t anything you can do to increase that, however you can take certain measures to keep your hair as strong as possible. The longer your hair is, the ‘older’ the ends of it are. Everyday, wear and tear, such as sun, wind, blow drying, curling irons and other heat styling tools, even shampooing and brushing, all work together to gradually erode each hair. This eventually causes split ends that will, in turn, result in the hair breaking off. The first step is prevention. Care for your hair as you would any valuable possession. Use a mild shampoo that is recommended for your hair type, such as: oily hair, dry hair, color treated, etc. If you are unsure, seek the advice of a hairdresser. I suggest using a conditioner after every shampoo; again, one that is formulated for your hair type. The conditioner will soften the hair and reduce the amount of wear causing friction between hair strands. 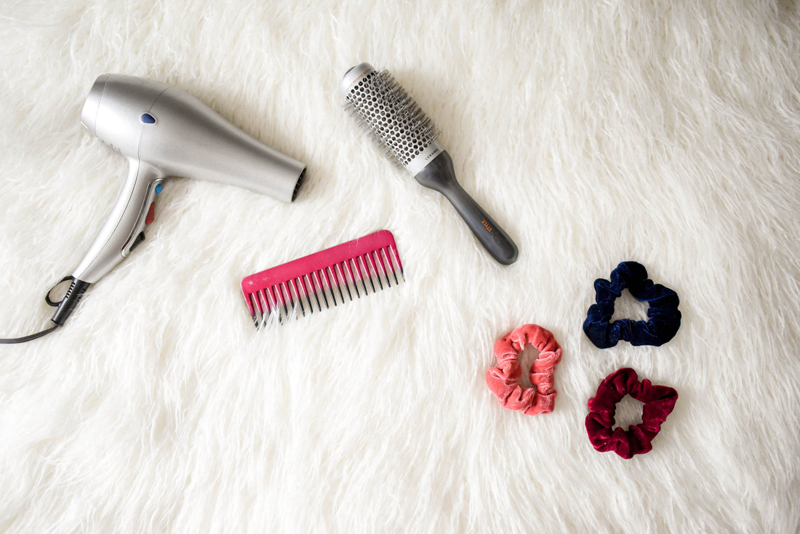 Reduce the amount of heat styling you do. Whenever possible, let your hair dry naturally. Finally, get regular trims. If you are striving for longer hair, see your hairdresser at least every ten to twelve weeks to have one quarter to one half inch trimmed. This will get rid of any budding split ends while, at the same time, allowing for growth. While making sure these things are taken care of, remember that the hair papilla, where the hair begins, is nourished by blood vessels, so concentrate on a healthy lifestyle. Make sure you are getting the essential nutrients required by your body and promote good circulation with regular exercise and scalp massage. If there seems to be more of a problem than I have discussed here, be aware that there are factors that adversely affect hair growth relating to hormonal or health problems. If you think that one of these issues may be the cause, consult your doctor. These larger problems must be treated and solved so that your hair growth will return to its normal rate. So, in conclusion, pay attention to both your hair care routine and your overall health to expect optimum hair growth.